This weeks comics feature a Hellblazer #275 at the price of $4.99 which will feature John Constantine’s wedding, yes after 275 issue has has decided to tie the knot. DC can also celebrate Powergirl’s 20th issue, Supergirl’s 60th and issue 80 of Batman/Superman. 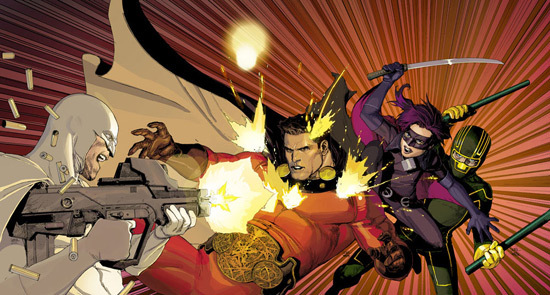 Marvel may still be in the race with Mark Millar’s Superior #4 – What’s with the evil monkey, I don’t know but I can’t wait to find out.